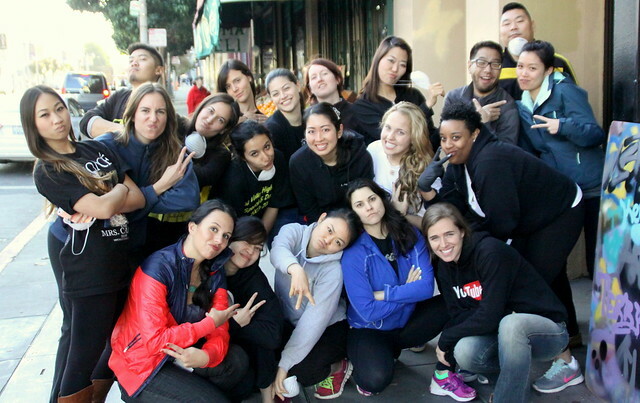 Yelp visits 1AM for a team building workshop! Home/1:AM Production, Classes, Community, Events, Mural Production, Team Building Workshops/Yelp visits 1AM for a team building workshop! 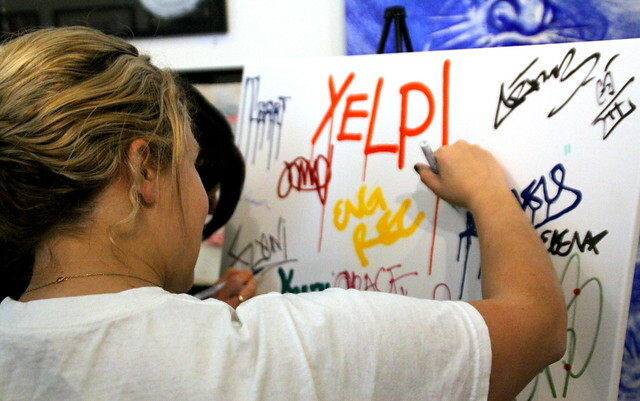 Last week, Yelp rolled through with their team to learn a little bit about the world of street art! They tried their hand at the tag, practiced some spray painting and finished their session with a long Yelp! mural. It was awesome having you guys, come back soon! 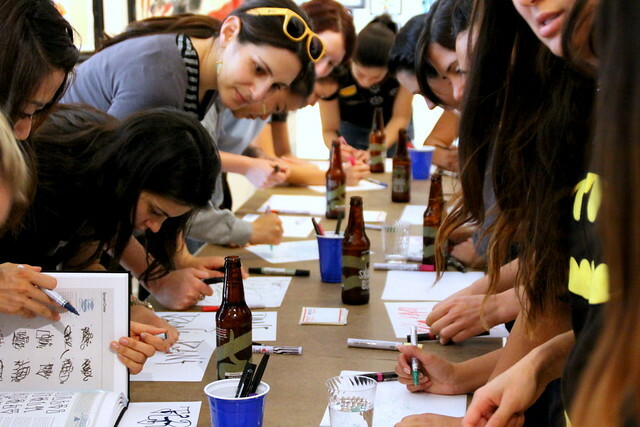 Interested in hosting a team event for your group? Email privateevents@1AMSF.com.